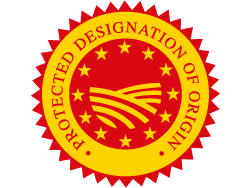 The Prosciutto di Modena PDO origins go back to very ancient times: the first documents are from the Celtic period, when people used to keep meat with salt, and from the Roman period, when Roman soldiers left for very long military campaigns, carried with them lots of salty pork meat and hams which came from river Po prosperous valley. The production area coincides with the hill zone and with the valley which encloses the Panaro river basin, among Modena, Bologna and Reggio Emilia provinces. The Prosciutto di Modena PDO production begins with the paring of the pork leg, whose weight typically goes from 10 to 13 Kg, through the elimination of the excess fat and part of the rind: in this way the ham acquires its characteristic pear shape. Then, the salting operation repeats twice, and the salted legs are placed to rest for about 60 days. After the rest stage, they are subjected to a particular type of washing and drying to reduce the high percentage of humidity. During the rest stage, the smearing process takes place; it consists in coating the uncovered portion of the ham with a paste of lard, salt, flour, and spices. The curing stage total duration counts at least 14 months, even though it can be subjected to small variations based on hams sizing. The Prosciutto di Modena PDO is bright red when cut. Moreover, it’s sweet and intense in flavour at the taste, but not salty. It perfectly matches with dried plums, melon and figs, with crescentina cheese or with Italian tigella. 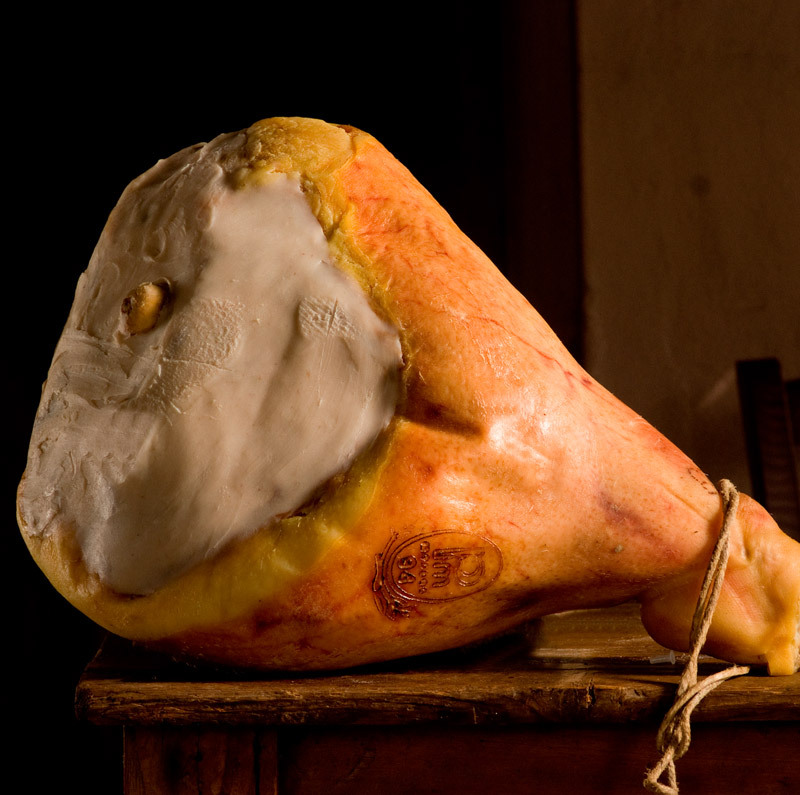 The Prosciutto di Modena PDO tastes so good thanks to the wind which blows from Cimone Mount during the curing stage.